My name is Peter Magazzu and I am the founder of Magazzu Motors which is a family owned & operated Business. The Magazzu family has well over 40 years combined experience in the motor trade. We have worked and still work with all the major dealer groups in Western Sydney. We are located in the Hawkesbury area and have been trading in the Hawkesbury area since the day we began. As we hand select all of our quality pre-loved vehicles that we offer for sale, they have all been thoroughly inspected prior to being offered for sale and we have undertaken all the necessary steps involved to guarantee that each and every vehicle has a clear title of ownership and is not listed on the PPSR (Personal Property Securities Register) as being Stolen or having been a written off or wrecked motor vehicle. With all the checks that we perform on all our vehicles you can rest assured knowing that you have guaranteed peace of mind with the vehicle you are buying. 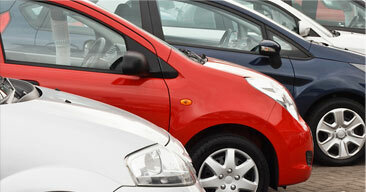 We have sold thousands of vehicles to the public & to dealers in the motor industry over the years. We have built our reputation on only selling quality pre-loved vehicles that meet out highest standards. We pride ourselves on good old fashioned service, only selling the best quality vehicles, and very competitive prices. We provide a wide variety of services to suit all needs. From trading in old vehicles, requiring finance, Australia wide vehicle transport and Australia wide extended warranties. Call or come into our dealership and we will help you find exactly what you need and you may be pleasantly surprised.